Build your own pages and upload them yourself or send off your images we'll put together the pages for you. To have your images uploaded and/or added to this list contact Ronald.L@Bujarski.com. - Marcel passing. Click here for images . - Our typical holiday events, followed by a very special Scot and Rachel announcement. Click 2018 Holiday Activities & An Engagement . - It has been a little while, so a few special events including Scot's master's graduation and a rare vacation are combined. Click Holidays, Graduation & 2018 Vacation . - Had to get this one up a bit more quickly, here you go. Click Spencer & Mona's Wedding to see an amazing celebration. - Updates haven't gotten any easier, but here you go. Click Catching Up Travels 2014 to see some travels with and without boys. - Almost a full year since the last updates, life has been very busy. Click Travels And Updates to see some travel and updates for the three boys. - This Fall has been a bit different, Click Empty Nest Syndrome to see CA events since all three boys headed to college. - Click Colleges, Graduations and Birthdays to see some of our 2012 milestone events. - Click Birthdays, Travels and Events to see some of the year ending events of 2011. - Click Landmarks And Memorials to review some of the major events of 2011. - Click Rosalie In Memoriam Images to review moments from the life of Rosalie Bujarski. - Click Fall and Holiday Events 2010 to see limited but still special summer events. - Click Summer 2010 Fun And Changes to see limited but still special summer events. - Click Scot's High School to Israel to see Scot's trip back to Israel with his High School friends. - Click Holiday Visitors 2009 to see this Holiday Season's wonderful friends and family visits, highlighted by Samantha's full two weeks of niece time. - Click Don's Exchange Visit 2009 to see the fun we had with Don, our Israeli SIEP Exchange Student. - Click Birthdays And Events 2009 to see 2009's Fall and Winter visits from family and special friends; with a couple birthdays and other special events thrown into the mix. - Click Birmingham High 30th Reunion to see the final results of months of planning, phone calls and late night effort that Kim put into her 30th high school reunion. - Click Founding Fathers Summer 2009 to see our summer 2009 vacation to Boston, DC and Jeff Copeland's wedding. - Click Holidays 2008 to see our year end adventures with friends and family. - Click Israel Trip Summer 2008 to see our 15 day long travels in the Middle East. We managed to touch almost every border and we learned a great deal about the history, geography and culture of the area. - Click Graduations And Other Stuff to see Scot and Sean graduate Middle School and lots of other recent events. - Click Samanthas California Adventure to see all of the fun during Samantha's holiday visit. - Click Winter 07 Special Comings and Goings to see who has been visiting or moving around this Fall and Winter. A much larger sequence will be posted soon. - Click Summer 07 Visitors and Travels to see all the fun we've been having out West. - Click Samantha Comes to Visit CA to see the fun had or the July 4th week. - Click Zadie's 95th and Our 20th Anniversary to see the party Mary just had to throw. - Click Samuel Graduates from High School to review Samuel Marks' landmark event. - Click Milestones and Graduations to review Spencer's and Kim's great accomplishments. - Click Vacation 2007 - 2,551 Miles to see our road trip to Idaho via the Grand Canyon. - Click Scot and Sean Bnai-Mitzvah to see our wild party for the twins. - Click Holiday Season 2005 to view our joyous Holiday activities. 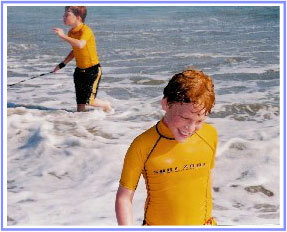 - Click Fun and Games w/Evan to view recent activities with our close friend Evan. - Click Hawaii 2005 to view CA Bujarski summer vacation to Oahu. - Click Visiting w/ Friends to view CA Bujarski recent get togethers. - Click Boyscouts to view Boyscout Arrow of Light Bridging Ceremony. - Click Yosemite to view pictures from the CA clan's summer trip up the California coast that included Yosemite and Sequoia National Parks. - Click Colorado to view semi-recent vacation pictures of the CA clan to Colorado. - Click GovIsland to view pictures from Oregon and NYC of Marcel's family and Coast Guard career.